The Angelus is prayed at 6:00 AM followed by the Rosary with Sr. Mary Lucy. 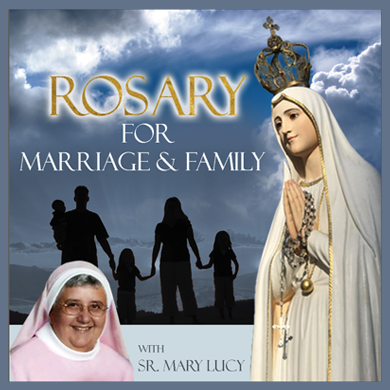 This daily Rosary is prayed especially for marriage and families. To purchase a CD copy of this Rosary, please contact the studio at 855-571-0200.